AH, the BIG GAME. So many fans! So much energy around the excitement of your team! (Or not, in this case…a moment of silence in honor of the Cowboys season ending too soon.) That moment you see the prices and understand the term ‘sticker shock’. That moment of decision between paying for college or going to the BIG GAME!! 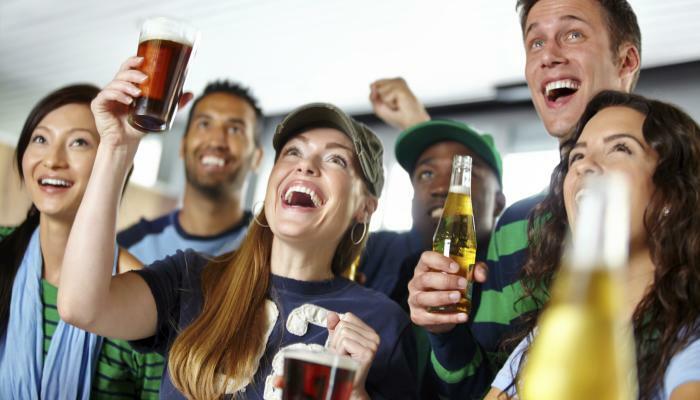 Have no FOMO (fear of missing out for those of you still trying to figure that one out) because we have 5 tips for having your own tailgating party at home, otherwise known as “HOMEGATING”. As Huffington Post puts it, it’s the perfectly personalized way to celebrate a game, even when your favorite boys aren’t on the field. (Did we already do a moment of silence?) Tailgating at home. Finally, an official name and reason to show of that new media room, man cave, she- shed or big screen TV! One: Plan ahead and shop early. Sit down and formulate a quick game plan regarding food, beverages, and decorations. Be sure and consider everything you’ll need to pull-off a stress-free party, like whether or not you have enough plates, napkins and burger buns. Is the grill ready? Is the blender in good working order? Do you need some extra help to get the house ready? Two: Do as much as you possibly can ahead of time. The day before the game, prep hamburger patties, slice veggies, make dips, organize decorations, and take care of anything else you can knock out early. Better yet, just call Whole Foods and put in an order for the perfect tailgating items (like buffalo chicken wings) for the big game. This might also be a good time to set a pizza place on speed-dial, just in case. Three: Practice or try out new recipes ahead of time. Two hours before 20 people arrive to watch the Super Bowl at your house isn’t the best time to start preparing gourmet cheese enchiladas you found on Pinterest when you’ve never made them before, especially if you only have a kitchen because it came with the house. Stick with simple, easy or catered if you have never tried it before. Four: Go potluck. Ask your guests to bring a plate, drink or anything else that can make it easier on you. Five: Decorations. No homegate party is complete without decorations that spread the spirit of the game! Check out these homegating Pinterest finds for fast and easy décor. Decima is our Senior Director of Marketing & PR who loves being able to create and share the Arlington experience! She's also a fan of a random sense of humor, really good coffee, problem solving and people who sneeze funny. She truly believes singing in the car at the top of your lungs makes you live longer, and is fascinated by the human psyche. Opinions expressed in her writing are her own, and in no way represent the opinion of her employer or the Queen of England.